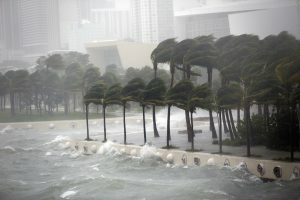 Gregory, who is also executive director of MIT’s Concrete Sustainability Hub believes that being proactive about hazard mitigation and building structures for the long term that are resilient to extreme weather events is not only critical for saving lives but is also a cost-effective investment. As communities continue to rebuild from the devastating damage wrought by hurricanes in recent years, there is more focus on resilient building materials and designs that can mitigate future damage. It is estimated that a record $309.5 billion in disaster costs were incurred by the U.S. last year due to hurricane’s Harvey, Irma and Maria. The National Oceanic and Atmospheric Administration has recently announced that 2018 doesn’t promise to be much better hurricane-wise. They believe the 2018 season “has a 75 percent chance of being near- or above-normal, and that one to four major hurricanes may develop”. At MIT, scientists are evaluating the cost of resilient building using a life-cycle approach that includes the costs of doing initial construction, maintenance throughout the life of the building, energy consumption, and an estimate of hazard repairs (i.e. costs that might be sustained due to hurricanes). This is important, Gregory says, in calculating what the payback is on hazard-resistant construction. “Most often, this kind of construction costs more upfront, but there are paybacks for it over the long run,” he says. 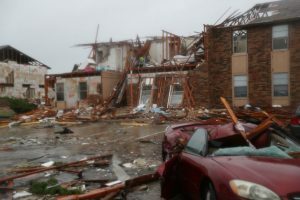 As major natural disasters become more frequent, safety and public health experts say civic leaders should treat these severe weather events as the new “norm” and prioritize disaster resilience in community planning and rebuilding. According to the National Institute of Building Sciences, every pre-emptive dollar spent on mitigation can save approximately $6 in future disaster losses. A destroyed apartment complex in Rockport, Texas after Hurricane Harvey passed through in 2017. Because there aren’t always incentives for developers to take life-cycle costs into perspective, government needs to play a role in encouraging these practices. To help, MIT has developed an online tool called the BEMP (Break-Even Mitigation Percent) which calculates how much can building owners can invest in mitigation and still break even over the lifetime of the building. “The whole idea is to give people a ballpark figure of how much additional costs are associated with mitigation,” says Gregory.